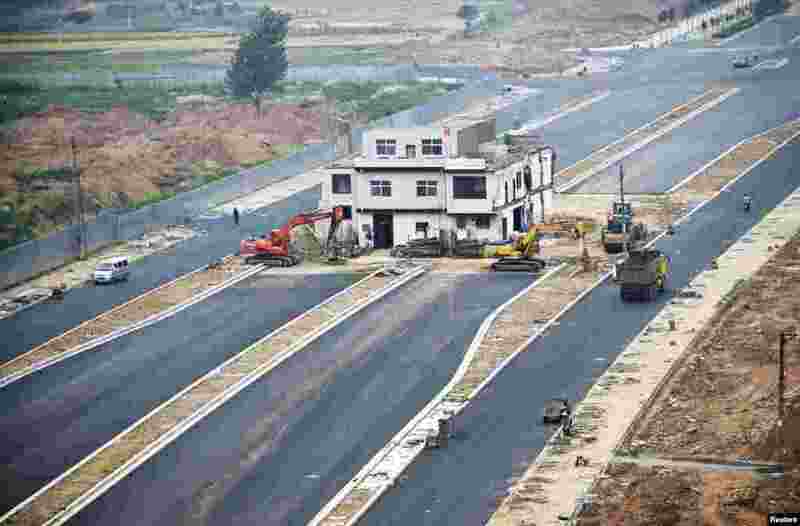 1 A three-story 'nail house', the last building in the area, with a Chinese national flag on its rooftop is seen in the middle of a newly-built road in Luoyang, Henan province, China. According to local media, the house owner did not agree with government's compensation plan for relocation and refused to move out. 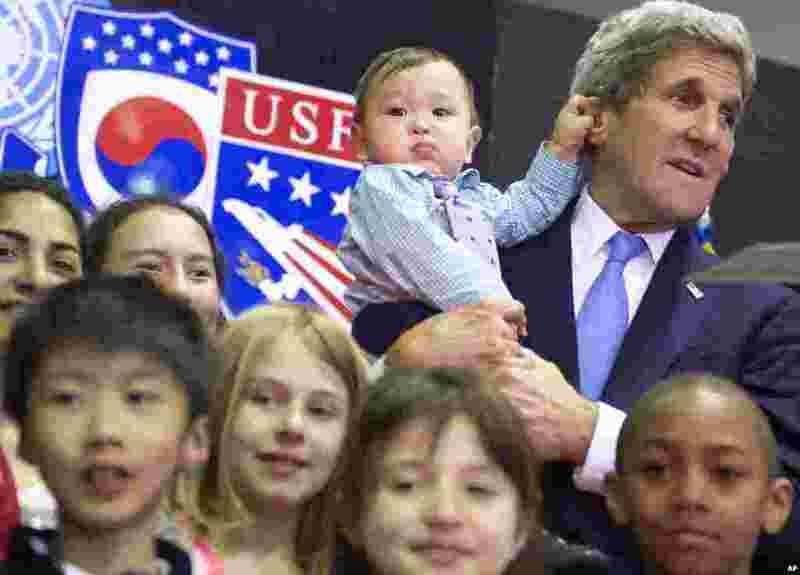 2 U.S. Secretary of State John Kerry, right, holds 8-month-old Andrew Belz as he poses for photos with the children of U.S. troops and U.S. Embassy personnel at Collier Field House at Yongsan Garrison in Seoul, South Korea. 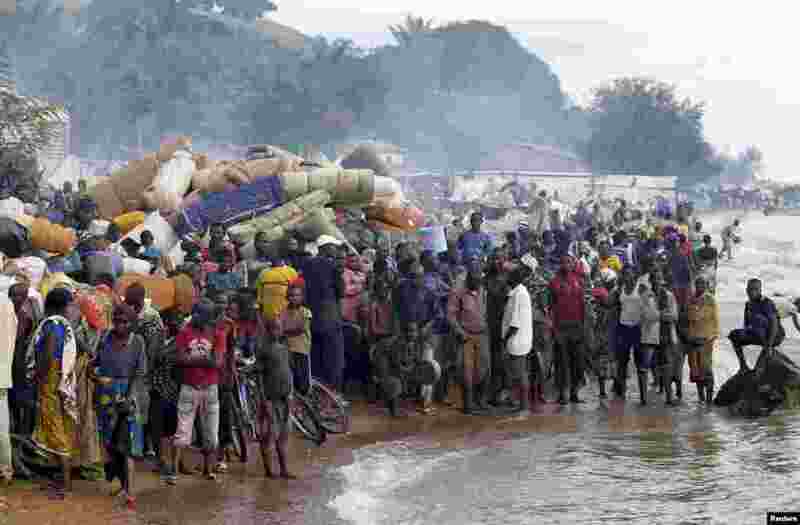 3 Burundian refugees gather on the shores of Lake Tanganyika in Kagunga village in Kigoma region in western Tanzania, as they wait for MV Liemba to transport them to Kigoma township, May 17, 2015. 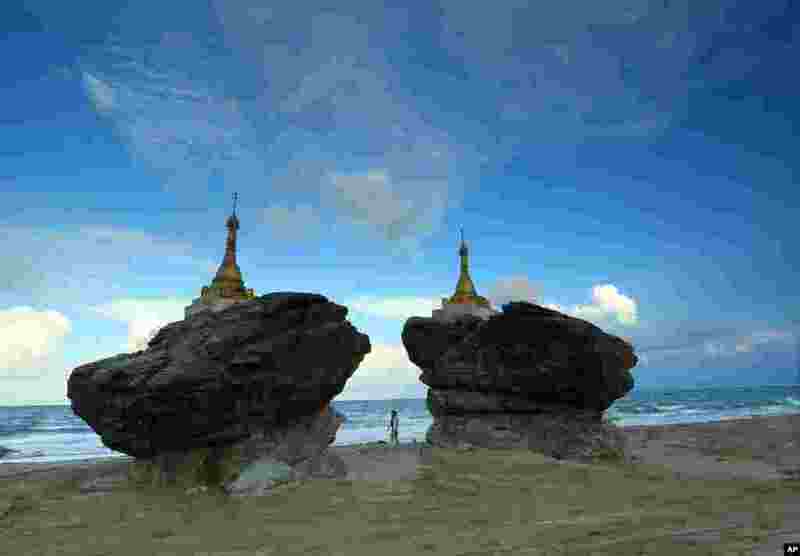 4 Two men walk past pagodas at Ngwe Saung beach, Pathein township, about 145 miles from Yangon, Myanmar.